Dr. Hilaire received her Doctor of Pharmacy degree from Duquesne University. She then completed a community pharmacy residency at the University of Toledo and a primary care specialty residency at the University of Tennessee. Her practice site is the Fort Collins Family Medicine Residency Program in Fort Collins, Colorado. Her research interests include diabetes, women’s health, pain management and transitions of care and patient centered medical home concepts. Her academic interests include leadership development, faculty retention, and mid-career achievement in academia. She teaches throughout the pharmacy practice didactic lectures and offers Ambulatory Care, Academic and Pre-Residency Rotations. Michelle is a Certified Diabetes Educator, a Board Certified Pharmacotherapy Specialist, a Board Certified Ambulatory Care Specialist and a Fellow of the American College of Clinical Pharmacy. She offers comprehensive chronic disease management at the Fort Collins Family Medicine Residency Program. 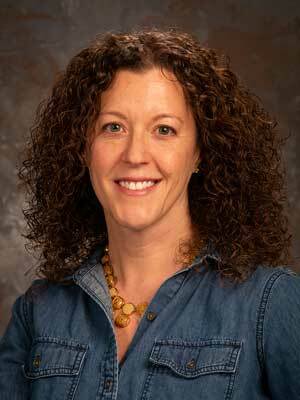 She serves as a preceptor for the PGY1 Pharmacy Residency at Poudre Valley Hospital in Fort Collins, CO. Dr. Hilaire is actively involved in AACP, ACCP, ASHP and the Colorado Pharmacists Society and is an AACP Academic Leadership Fellow.